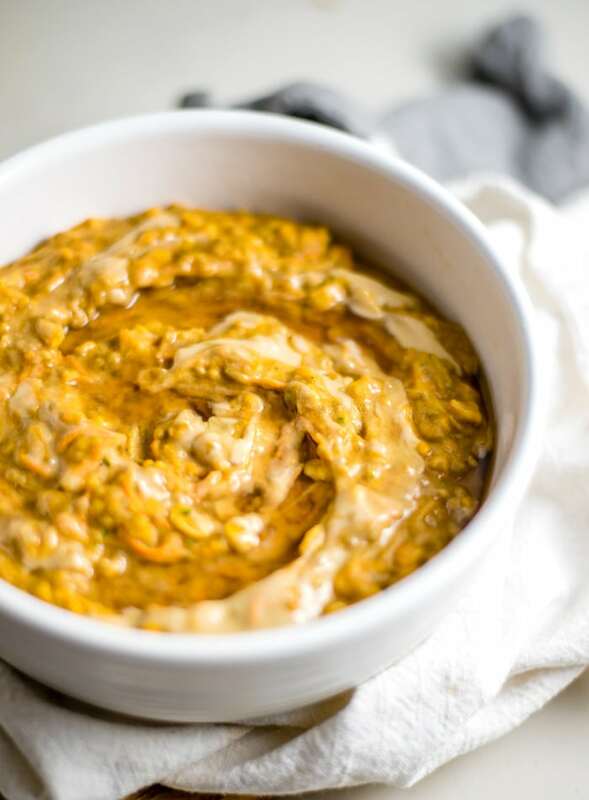 This carrot zucchini pumpkin oatmeal recipe with chia and protein is absolutely perfect for a healthy Fall breakfast. It’s warming, easy to make with simple ingredients, gluten-free, has no added sugar and are ready in under 10 minutes. This high-protein oatmeal recipe is full of nutritional benefits. It’s rich in fibre, complex carbohydrates and healthy fats from the chia seeds plus lots of essential vitamins and minerals. Let’s take a look at some of the individual ingredient benefits. vitamin B6, a group of vitamins involved in converting food into energy. In addition, carrots contain a range of plant compounds such as carotenoids (just like pumpkin!) that have antioxidant, disease-prevention and immune-boosting properties. Carrots help keep your eyes healthytoo thankss to their lutein and beta-carotene content. 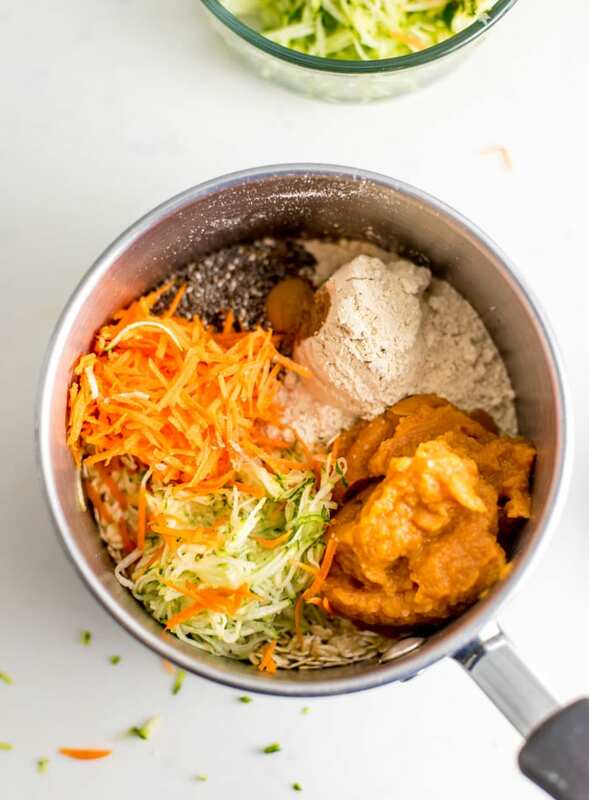 And finally, carrots contain that soluble fibre we need to lower blood sugar levels by slowing down the digestion of sugar and starch, as well as feed the good gut bacteria for improved digestive and overall health. Did you know that numerous studies have shown that eating whole grains tends to extend life expectancy independent of other dietary and lifestyle factors as they reduce the risk of heart disease, type 2 diabetes, obesity and stroke? Whole grains have also been shown to reduce inflammation markers in the blood so much that a habitual whole grain intake is linked to a significantly lower risk of dying from inflammatory diseases. Contain powerful antioxidants and polyphenols which may help reduce blood pressure. Contain beta-glucan, a type of soluble fiber with benefits ranging from reducing cholesterol and blood sugar levels to improved gut health. Help reduce the risk of heart disease by lowering total and LDL cholesterol. The beta-glucan also helps to improve insulin sensitivity by making sure sugar isn’t absorbed too quickly. Read my guide to whole grains for more information on the health benefits of including whole grains in your diet. Pumpkin is delicious and everything but did you know it’s also super nutritious? 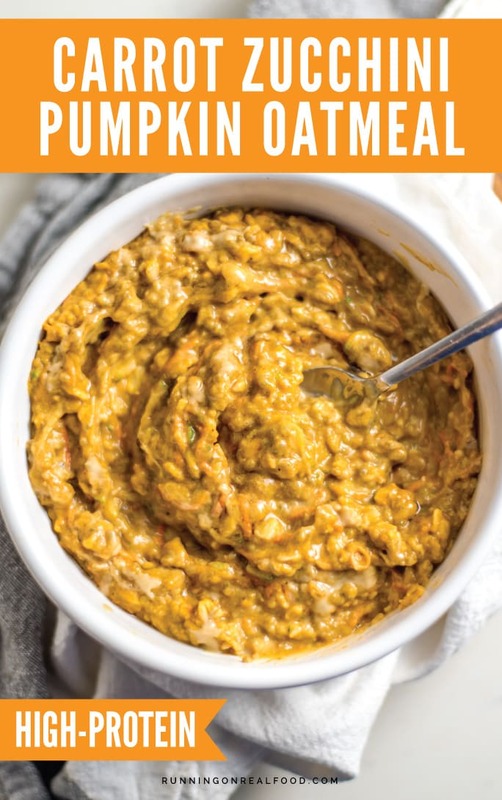 Pumpkin contains the antioxidants alpha-carotene, beta-carotene, beta-cryptoxanthin and many others, which may protect your cells against damage by free radicals. Pumpkin is a great source of vitamin-A which is important for healthy eyes. Pumpkin is a good immunity-booster as it’s rich in vitamin C, iron and folate. Eat it all Fall and Winter long to help keep your immune system strong and prevent colds. Pumpkin is low in calories with just 40 calories in half a cup, so you can go ahead and enjoy nice big servings. I love pumpkin so much, it always feels like dessert but it’s so good for you. 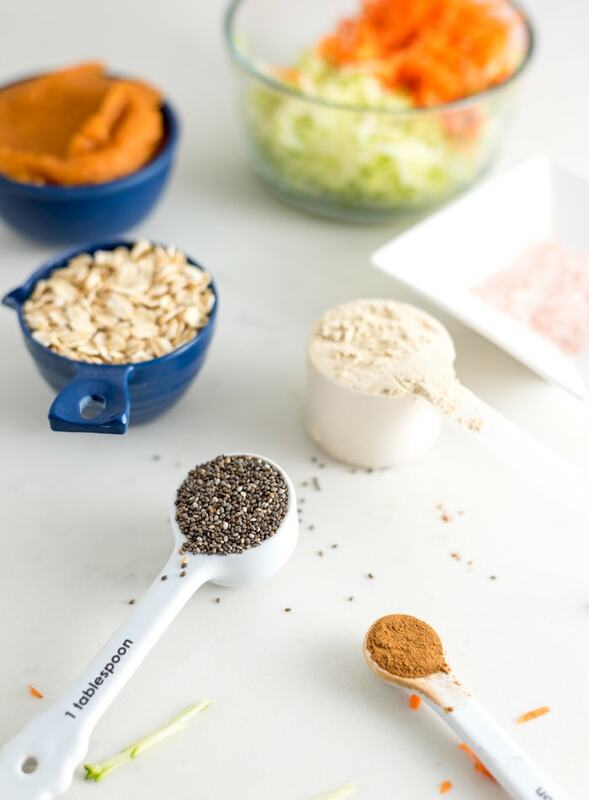 I love using it in pancakes, granola, energy bars, oatmeal, smoothies, to make pudding, for chia seed pudding and I even just eat it on it’s own. I’ve talked about chia seeds many times before. They’re a staple in my kitchen and I use them in everything from oatmeal, to smoothies, energy bars and baking. Not only are they but they’re highly nutritious and a great seed to keep on hand. Chia seeds are a source of omega-3 essential fatty acids that support overall health through a wide array of benefits but they are particularly important for normal heart, nerve, and brain function. Chia seeds are also rich in fibre, protein and are full of minerals and vitamins, such as magnesium, calcium, iron and antioxidants. What’s the Best Pumpkin for Recipes? I love Farmer’s Market Organic Pumpkin. It’s the best one I’ve found. E.D. Smith is good too and of course, you can also make your own pumpkin puree. 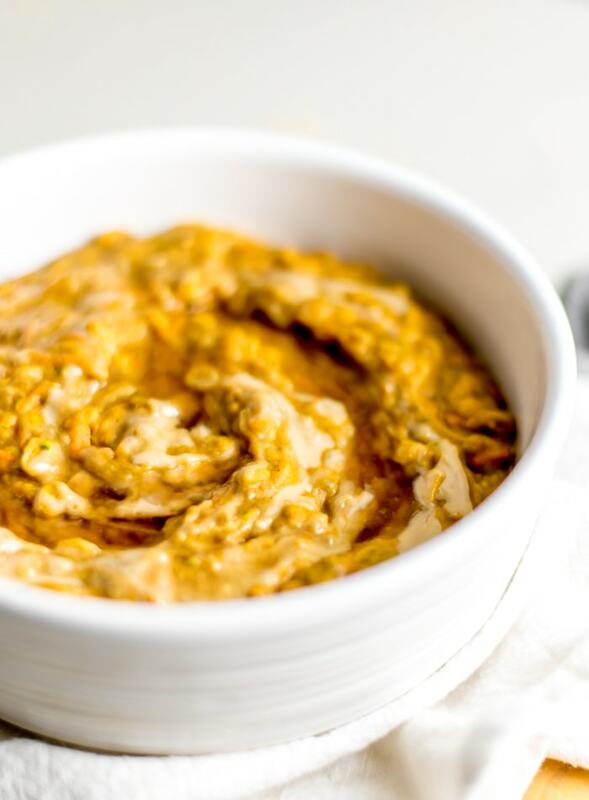 Just roast up some pumpkin and blend in a food processor until smooth and creamy. What Kind of Oats to Use? For this recipe, I’d recommend rolled oats, old fashioned oats or large flake oats. 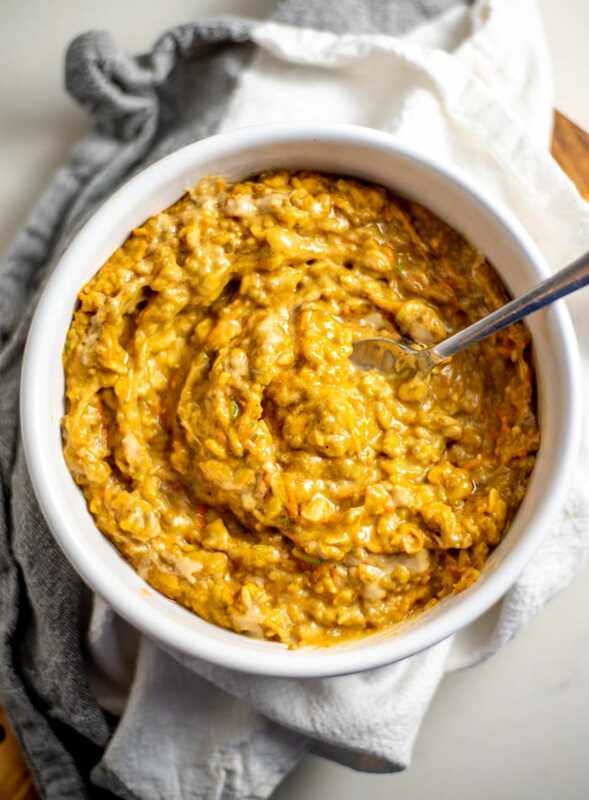 Minute oats or quick oats won’t be as thick and creamy but they’ll stick work fine. Can I use A Different Whole Grain? Yes!! How amazing would this be with some cooked rice or quinoa? Millet or amaranth would be nice too. I’ve got some more suggestions for whole grain porridge options here. Even a chewier grain like barley or farro would be delicious. For those ones you’d have to cook them first though and then heat up the cooked grains with the rest of the ingredients, adding a bit of water or plant-based milk as needed. 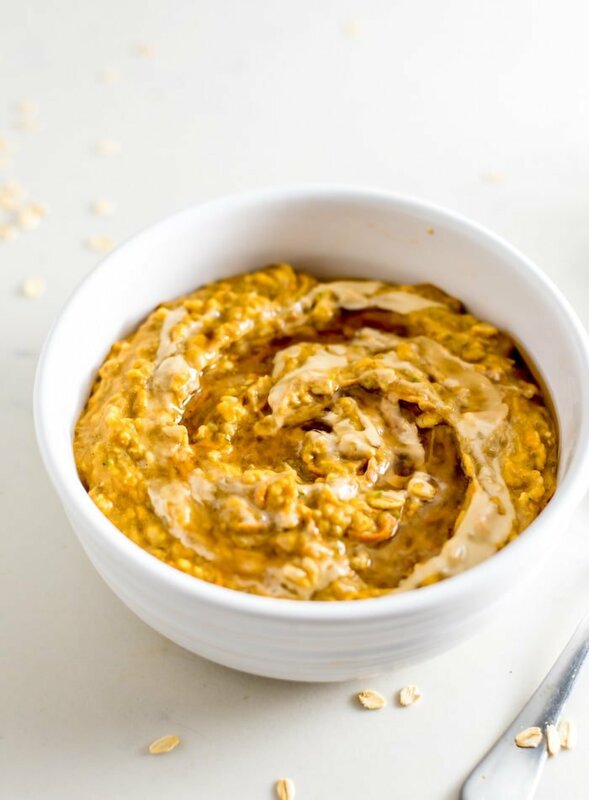 This oatmeal is thick, creamy, filling and delicious. Plus, you’re sneaking in plenty of veggies but still getting a sweet, cozy, comforting breakfast you will love to wake up to. I’ll be eating these simple stovetop oats all Fall and Winter long. Well…it’s really, really easy. Add everything to a pot, heat it up and serve! It takes 5-8 minutes over medium heat to cook. Just watch it as it starts heating up so the bottom doesn’t burn. If it starts bubbling, stir frequently for another minute or two until it’s ready. Join me as I make a bowl in the video below.